A new report in the Wall Street Journal offers a considerably detailed look into the recent U.S. drone strike that killed Mullah Akhtar Mansour, the leader of the Afghan Taliban. As The Diplomat discussed on Sunday, the strike took place early on Saturday morning near the town of Ahmad Wal in the Pakistani province of Balochistan. Mansour was killed on his way back to Quetta, the provincial capital of Balochistan, from Iran. The Journal reveals that Mansour was on his way back from Iran after spending time with his family. The article is worth reading in full, particularly for the detailed account it contains for how the U.S. Reaper drones approach Mansour before killing him and his driver. That we’re reading such detailed accounts of the rationale for the attack, the intelligence involved, and operational details days after its occurrence suggests that the U.S. government is trying to provide some transparency, with the goal of putting additional pressure on Pakistan. The report also largely answers the first two of the four questions I’d raised immediately after news of the strike became public. (We’ll have to wait to find out who’ll replace Mansour and how this will affect the broader peace process.) I’ve highlighted some of the big takeaways below. The United States decided to take out Mansour after the April 19 Kabul suicide attack, which killed 71 people and injured 367 others. The attack also drew a sharp reaction from Afghan President Ashraf Ghani, who days later attack Pakistani sharply for hosting the leadership of the Afghan Taliban. In addition to this turning point, it appears that U.S. intelligence had long been spying “on Pakistani leaders to see whether they were making a serious effort” in bringing the Taliban to the Quadrilateral Coordination Group-led peace talks. That’s the political context of the strike, which mostly matches up with what most early speculation had suggested. The April 19 attack, in particular, marks an important turning point. As I’d discussed in my questions after the strike, the question of U.S. intelligence is particularly fascinating in this case. (This is something Catherine Putz and I discuss in more detail in my most recent podcast episode.) 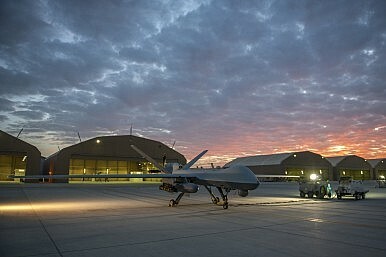 This was the first drone strike in Balochistan and, to date, we haven’t had any reason to believe that the United States has particularly sophisticated intelligence gathering capabilities there–specifically in the realm of human intelligence, which would be necessary to execute a drone strike on a high-value target like Mansour without room for error. It’s notable that the report notes that no Central Intelligence Agency (CIA) drones were involved in the operation or in monitoring Mansour. They largely operate in the Federal Administered Tribal Areas (FATA), with the private complicity of Pakistani authorities (though they protest the strikes publicly). This operation was under the oversight of the U.S. Department of Defense, specifically Joint Special Operation Command (JSOC). Nevertheless, as I mentioned before, to pull off the drone strike, the United States would need particularly good intelligence. The Journal‘s reporting–along with a New York Times report–notes that the United States used a variety of signals intelligence, human intelligence, and satellite imagery to pull off this operation, which was its first drone strike in Balochistan and, that too, against a particularly high-value target. It remains to be seen if this strike will result in a broader bilateral controversy between the United States and Pakistan like the 2011 covert operation against Osama bin Laden Abbottabad compound. Additionally, there is the question of whether taking out Mansour will actually improve the situation on the ground and help the United States and the Afghan government longer term. After all, the effectiveness of so-called ‘decapitation’ strikes against the leaders of militant groups is often overstated. Pakistani civilian leaders, including the prime minister and interior minister, have, to differing degrees, criticized the strike, saying it violated Pakistani sovereignty. Ultimately, how this develops from here will depend largely on Pakistan’s military and intelligence services, who continue to preside over the Taliban and see the group as a valuable proxy. Four days after the strike, they remain silent. Update: Shortly after this was written, the Pakistani military made its first statement on the matter via Facebook. 4 Questions After the Drone Strike That Killed Mullah MansourTaliban Head Mullah Mansour Likely Killed in US Drone StrikeMind Games in AfghanistanNew Trends in Pakistan-Saudi Arabia TiesAre We Finally Seeing a Breakthrough in Afghanistan-Pakistan Relations?